Who’s the Hero of Your House? There’s so many ways you can be a hero – by helping others, being brave, caring for animals, the list goes on and on. 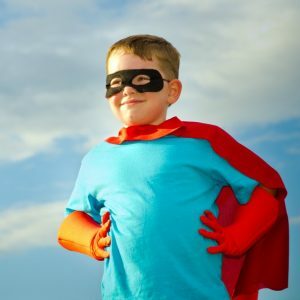 Another way you can be a hero is by helping your family to save money – so when you keep that particular type in mind, who’s the hero in YOUR home? We’ve got a fun quiz to help you find out! If you want to skip right to the quiz because you just can’t wait to find out who the hero of the house is, then you can TAKE THE QUIZ HERE. That bright sun blaring in, or that snow-chilled wind in the winter, can really affect the temperature in your home. Use curtains – especially blackout ones – to help keep that heat or cold outside. If the evenings cool down quite a bit, you can open the windows during that time to help naturally cool the temperature in your home. This was one I didn’t know – but makes perfect sense! Planting trees in the right spots in your yard can provide shade not only for when you’re outside and getting a bit hot, but for helping keep your house more cool by blocking some of those hot sun rays. This is one we do – we skip the dry cycle in the dishwasher. We have a rack & area on our counter where we can empty the clean, wet dishes to then they just air dry. This can save quite a bit of energy, especially if you have a big family that uses a LOT of dishes, like us! Please tell me I’m not the only one who use to be told ‘save some water for the fishes’ when I’d shower too long, or drank a lot at the water fountain! But it’s true – saving water can really make a difference, especially to your utility bills. Cutting your shower time to 5 minutes can really add up – even one minute less can save up to 5 gallons of water. Times that by the 7 people in my house, and that’s a LOT of saved water! So – are YOU the true hero of the house? Find out now, and see who can save the most energy after utilizing some of these awesome tips! Have I ever told you that I love finances? Weird, I know – but I actually ENJOY working on a budget, figuring out plans for reaching our goals, and playing with the numbers. 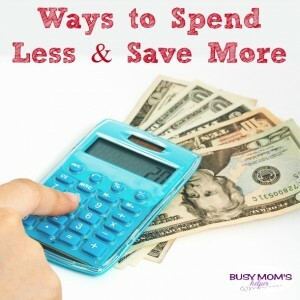 What makes it even more fun is finding easy ways to cut your budget! 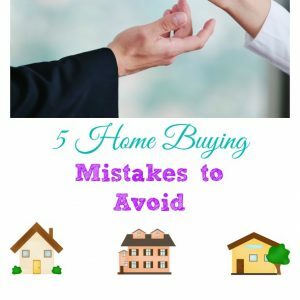 Hubby and I made a lot of financially unwise choices at the beginning of our marriage, and had kids early while still in college which assisted us making even MORE bad money choices. Years later, we’re now making the right money decisions, and slowly making progress to dig out of the hole we put ourselves in. One of the best ways we’re doing that is by lowering our budget – leaving more money free to save, pay off debt, and use towards our goals. 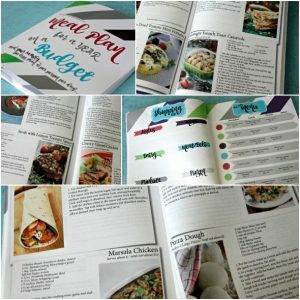 Here’s a bunch of wonderful ideas on how to save money, lower your expenses, and make progress towards YOUR financial goals! If you have a reliable cell phone, do you need a home phone? Cut your heat and cooling bills by setting the thermostat a little bit lower/higher. Do you really need it 70 Degrees in the middle of summer? Make a list, and stick to it! Skip the gym membership – but still stay healthy and strong by working out at home, at your neighborhood park, or running with a friend. Zumba DVDs or Xbox Game are my personal favorite! Date night doesn’t have to cost a ton – there’s plenty of free date night ideas you can search for that are just as fun as an expensive place, if not more so! Don’t buy things JUST because they’re on sale! 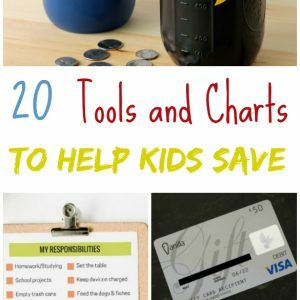 I’m not going to list the zillion things people say you can do to increase your income – you can search on Google or Pinterest for those and find plenty 🙂 For me, this blog has helped to increase our income and is helping us work toward the goal of Nerd Dad working from home – our dream! I received some free product to help facilitate this post. All opinions are 100% mine alone. It still throws me off that Easter is sometimes in March. Is that weird to anyone else? I know it just depends on the calendar, but I’ve just always considered it more of an April holiday. Anywho – it’s on March 27th this year, so fast approaching! Luckily (or shockingly) I’m completely ready with some Budget Friendly Easter Basket Ideas for my kiddos to have a great holiday! First of all, I need to be clear: I’m definitely FOR tasty treats in Easter baskets! It’s not a true basket without at least some goodie – chocolate, egg-y, whatever. That being said, I make sure to include more non-candy items for my kids to enjoy. Several are also great for family activities, so you can enjoy the day together! Swiss Milk Chocolate Treasure Eggs – a fun new item from Choco Treasure! Lots of favorite characters to choose from such as Kung Fu Panda 3, Minions or Hello Kitty. Each is a delicate, wrapped chocolate egg that’s delicious milk chocolate. Inside that chocolate egg layer is a plastic egg, holding one of a large variety of toys or games! So far in our Minion ones we’ve got a couple figures, a little puzzle-type game, and a ‘coin’. Treat AND toy all in one! 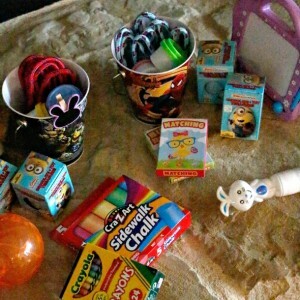 I only spent $8-$15 per child for the stuff shown above (did receive the Chocolate Treasure Eggs for review) – definitely affordable! There were several things I’m going to give as a ‘family’ gift, such as the playing cards, since they don’t EACH need the same thing with that. But playdough, bubbles and jump ropes I wanted to give individually. You can really mix it up however your family prefers – if your kids are more artistic, include more craft things such as markers, color pencils and stickers. It’s so easy to find fun, creative, useful, delicious things to fill your kids’ Easter baskets with, without breaking the budget! What are YOUR favorite Easter basket ideas? This post is sponsored by Varagesale. All opinions and experiences are my own. As most of you know, we just made a big move to be closer to hubby’s work. Between clearing stuff out to ‘show’ the house we were selling, to the massive loads we just didn’t want to deal with moving, we tossed a bunch of stuff. I really wish I’d known there was a great LOCAL site where I could earn some extra cash by easily selling all that stuff! Varagesale: Sell, Buy & Earn is such a great idea, especially when you’re wanting to clean out or earn some money. You’re probably asking ‘what IS Varagesale‘? In a nutshell, it’s an online garage sale that’s not only convenient and keeps things local to avoid shipping/delivery/pick-up nightmares – it also saves you tons of time! 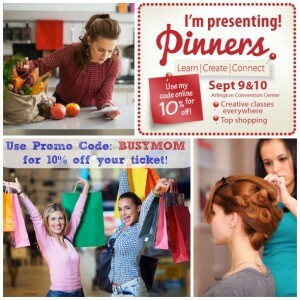 Think about how many hours you spend on a typical garage sale: you’ve got to gather your items and store them until you have ‘enough’, set them out, price tag them, advertise, then sit out there waiting and hoping people will come by and purchase. Agh! Wouldn’t it be much easier for list your items in a list of local people who are ACTIVELY looking, like this…..? I just had to check it out! I signed up for my local area, and got to searching the simple system – this is what it looks like when I sign in. There’s easy menus for your Feed, Discussions, searching Categories (or just search at the top), and keeping your own items and transactions organized. 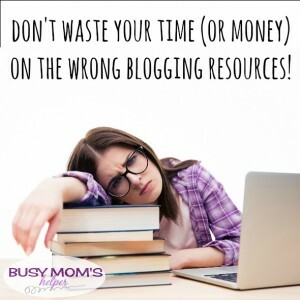 I’m seriously kicking myself for not holding onto the stuff we didn’t want anymore! But….I’m in need of a few new things for our new house! Like a nightstand – my old one was bulky, falling apart, and just annoying. Definitely not worth keeping! I simply searched and found the perfect one! I was able to comment on the listing, and send a direct message to the seller to work out pick-up/delivery. 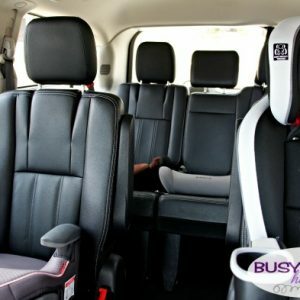 And guess what my local DFW friends – there’s new communities for our area on Varagesale.com now! There’s all sorts of things – from furniture, decor and games to clothing, appliances and gifts! How did it get started, you ask? VarageSale was founded by a former elementary teacher, Tami Zuckerman in 2012 after she became frustrated using other sites to buy and sell online. She approached her husband, a programmer, and the two collaborated together to create something more user friendly with a better experience than existing classifieds sites or social networks. There’s even an APP – because it’s all about convenience and simplicity here! 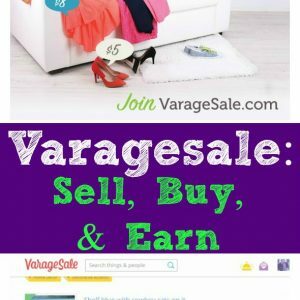 New VarageSale sign-ups who join a newly launched community will earn $5 for every item they list for sale (up to 25 items). That’s potentially $125 up for grabs! BONUS: every item listed for sale is also an entry into a state-wide contest to win a family vacation (up to 5 people) to the most magical place on earth in Orlando, Florida (Disney World). Be sure to go Sign Up for your local area, then check out Varagesale on their social channels, too! I love budgeting – making the spreadsheet, tracking our expenses and income, planning how we can afford our necessities, maybe get some fun wants, and hopefully save for future goals. Whether you love to budget or not, My Newest Budget-Saving Trick can help you keep more green to use for whatever you choose! 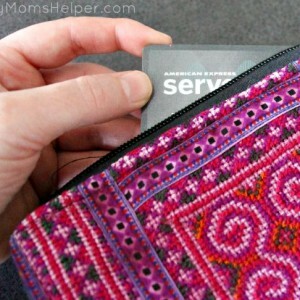 Recently, I shared 5 Best Money Saving Tips with you, one of which being to use the American Express Serve® Cash Back prepaid debit card. Not only does it make it so you don’t have to carry bundles of cash around, but still give you the benefits of a ‘cash only/envelope’ system, but you can earn money BACK! I mentioned I planned to use this for the majority of my spending to test it out, and I loved it! Knowing that I had a set amount on my card, whatever amount it was that I’d chosen to load onto my card easily online, it worked just as great as a cash-only system. I only had a card to worry about, too, instead of cash that could be lost or stolen. I mean, your card can be, also, but you can report it and get any stolen funds back and the card replaced. Cash, not so much. There’s also some handy money management tools online for no or low cost, so whether you just love learning more about finance help or really need to up your financial knowledge they’re there to help! There is a low monthly fee of $5.95, which did leave me hesitant at first – but I learned you earn that much and more easily with the 1% cash back on purchases. The cash back you earn is quickly added to your account after your purchase, so it’s available whenever you are. Just log in to redeem your earnings for your next purchase. They also offer free direct deposit, free online bill pay, and free in-network ATM withdrawals. A $2.50 AmericanExpress Serve fee applies for out of network ATM withdrawals. So what are you waiting for? Register on-line to get a prepaid card in the mail. There’s no credit checks, minimum balances or hidden fees.